Parks, trails and open spaces create a positive impact on the quality of life in a community. Many local communities are converting unused railroad corridors into trails. Home owners and business owners cite parks as impacting on the decision of where to locate. 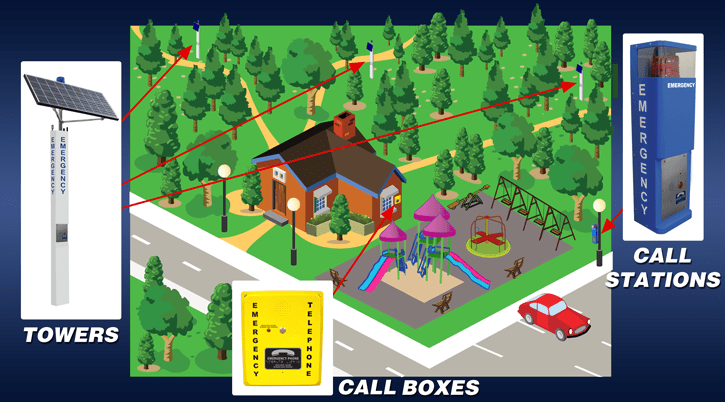 While investing in these spaces consider the safety of park and trail users by including blue light emergency phones. offer a quick notification and response in an emergency situation.